Mydax CryoDax chiller systems are an ideal solution for processes incorporating jacketed vessels using ethanol, CO2 or hydrocarbon (“BHO” or “Butane”) cannabis CBD THC oil extraction systems. Our CryoDax low temperature chiller systems are well suited for laboratory or industrial cooling requirements, especially when higher cooling power at temperatures of -40°C or colder are required. 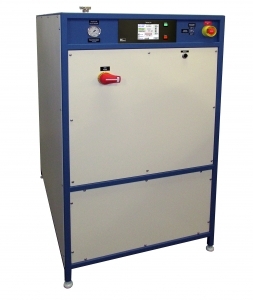 Our industry leading Advanced Temperature Control Technology 0 to 100% proportional cooling and heating control allows us to offer long term Quality, Reliability and Performance. Utilizing recirculating closed loop cooling and heating, Mydax CryoDax chiller systems are an ideal solution for processes incorporating jacketed vessels using ethanol, CO2 or hydrocarbon (“BHO” or “Butane”) cannabis extraction systems. Larger CryoDax systems can be used for cooling / temperature control of multiple jacketed vessels at the same time. CryoDax chiller systems offer standard temperature ranges from -70°C to + 80°C and can have temperature ranges as wide as -70°C to +150°C with a single heat transfer fluid. 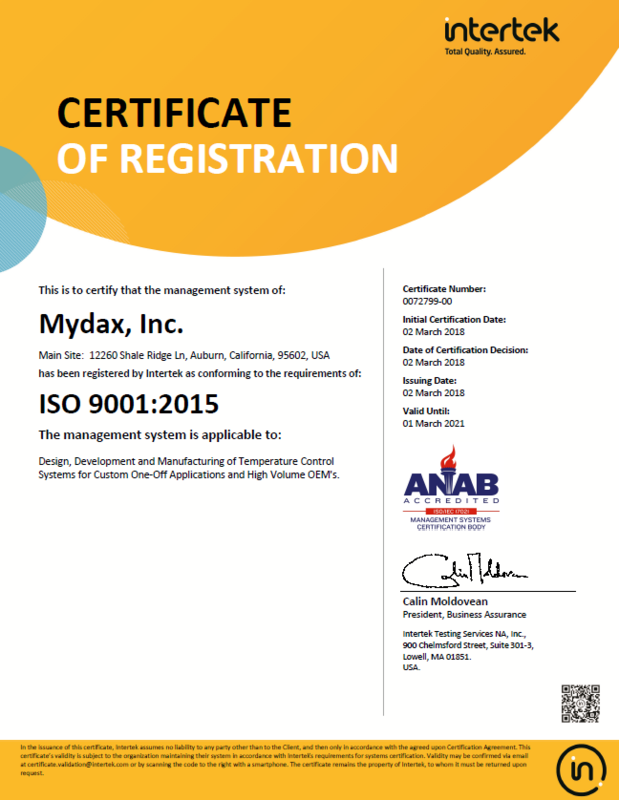 Mydax technology also allows the use of multiple independent temperature controlled recirculating loops with one refrigeration system if needed. The 2-channel version of a CryoDax low temperature chiller system has two recirculation loops each with its own reservoir, pump, heater, and evaporator (for cooling). With two independent recirculation loops you are able to maintain your process in two jacketed vessels, each at its own temperature. Customization is one of our strengths, so our team can offer a temperature control solution to meet the most demanding applications. ***The times above are an estimation, different fluids, fluid volumes, starting temperatures, etc. may increase or decrease the actual time.